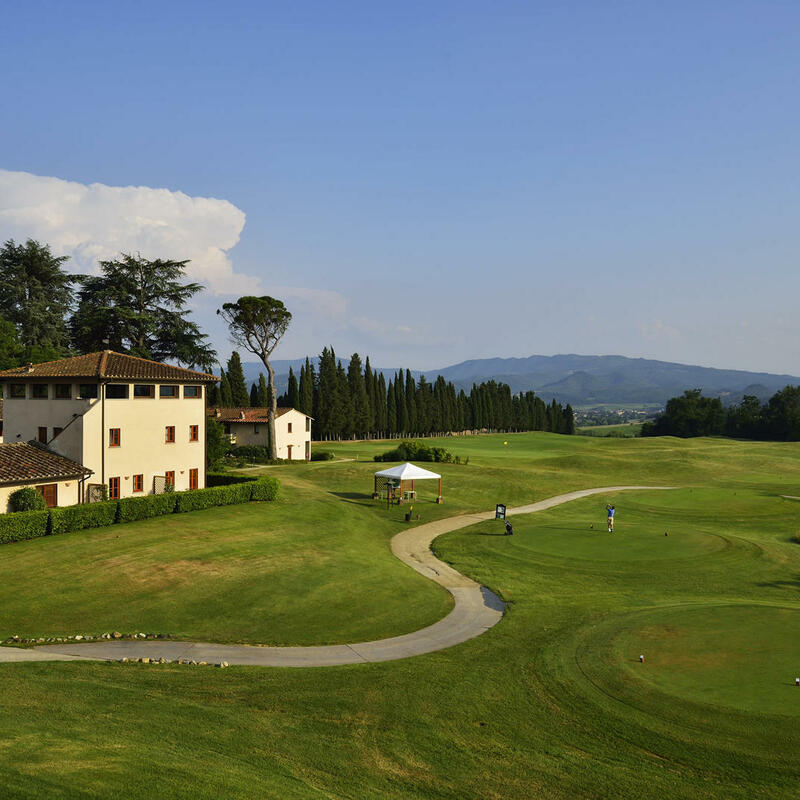 Idyllic Tuscan retreat for guests and golf lovers. 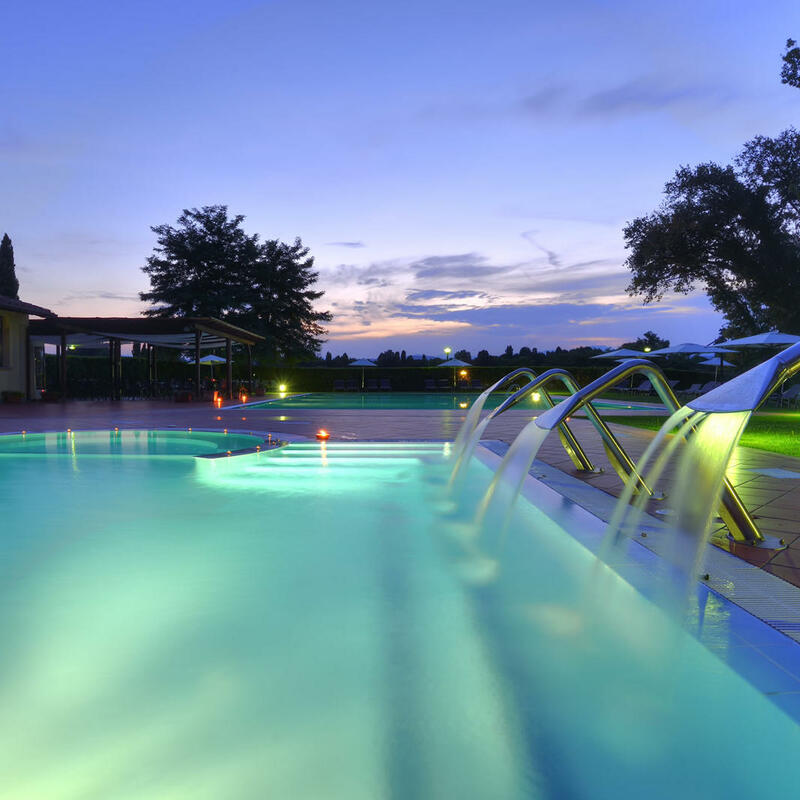 Situated in the lush Mugello valley, the hotel is close to the medieval village of Scarperia. 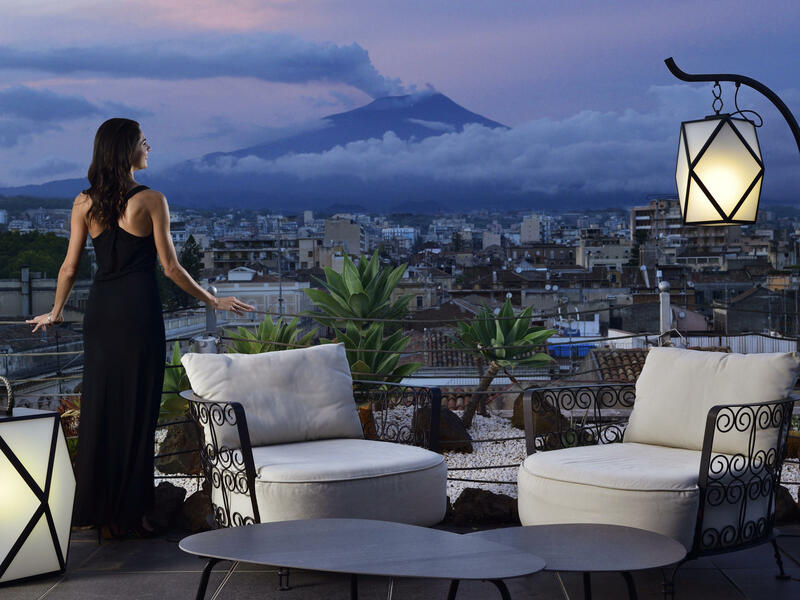 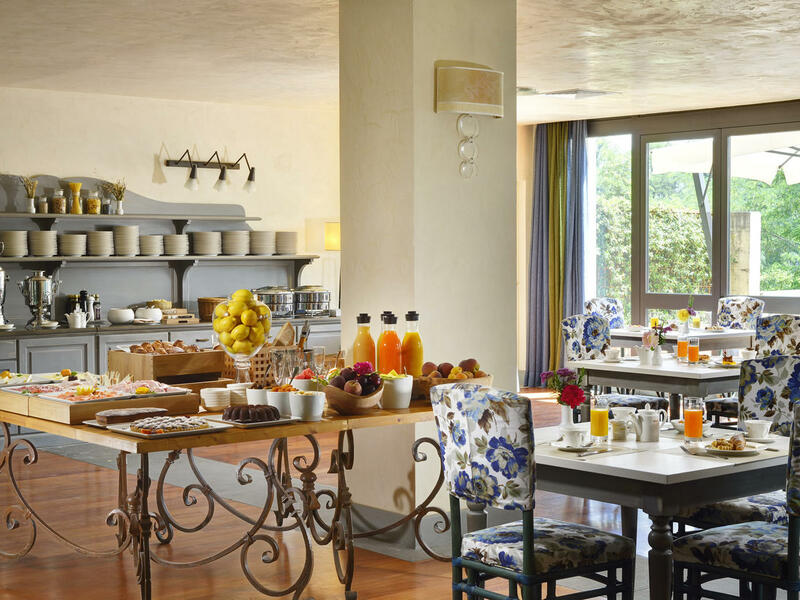 Welcoming guests with warm Italian hospitality, this luxurious hotel with its prestigious golf course offers immaculate and spacious rooms and suites, extensive meeting and events facilities, a wellness and fitness centre, outdoor pool and popular bar and restaurant. 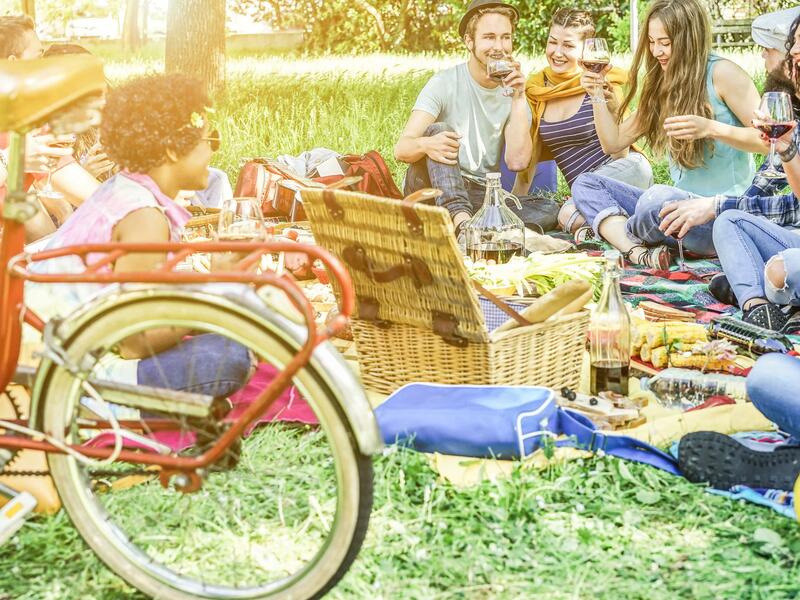 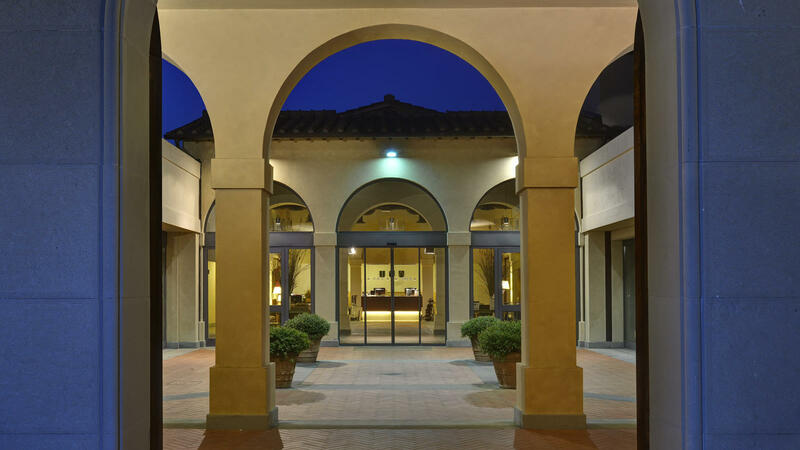 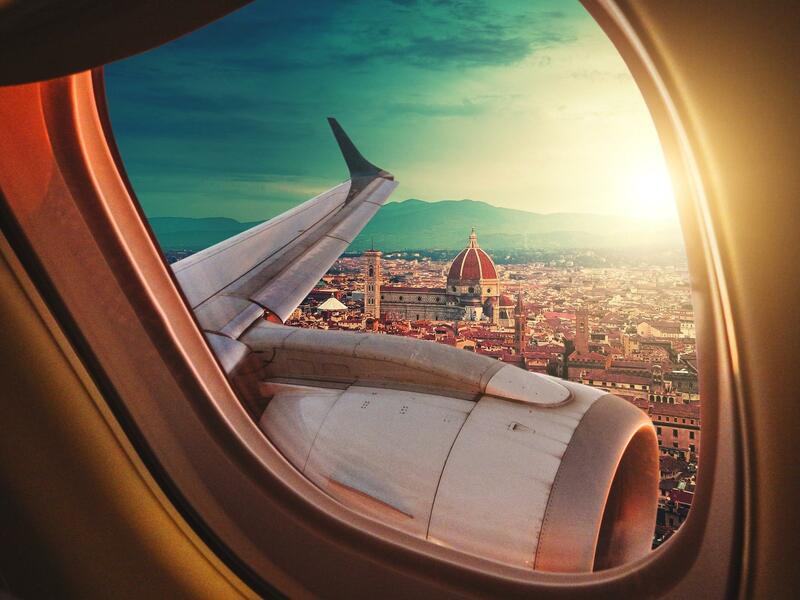 Located within easy reach of Tuscany’s most celebrated cities, UNAHOTELS Poggio dei Medici Toscana promises guests an unforgettable stay in Italy’s most celebrated region in refined style and comfort. 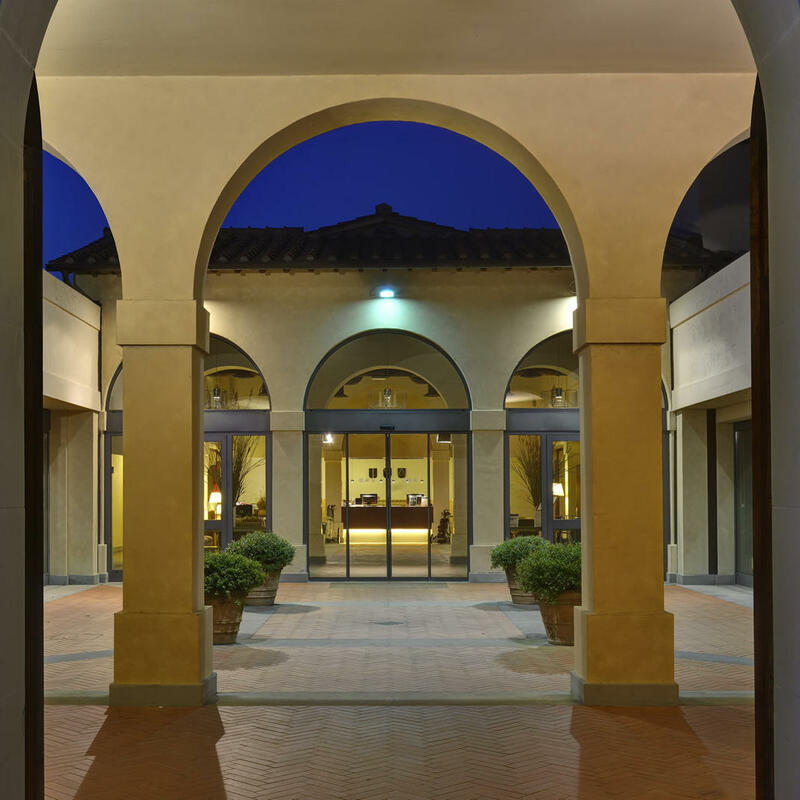 The UNAHOTELS Poggio dei Medici Toscana's spacious Superior Rooms (35 m2) enjoy a generous, beautifully finished interior and garden views from the balcony. 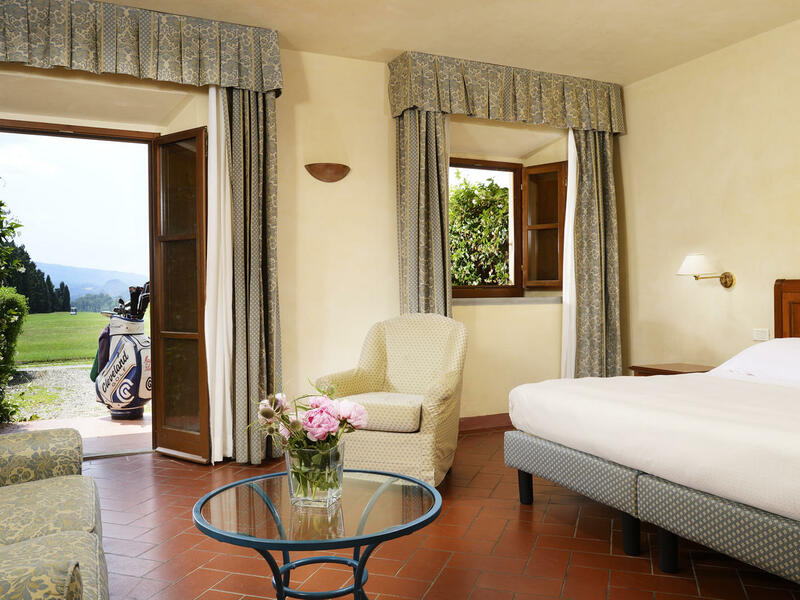 Furnished in an authentic Tuscan style with double or twin beds, each Superior Room boasts a minibar, satellite TV, WiFi and air conditioning. 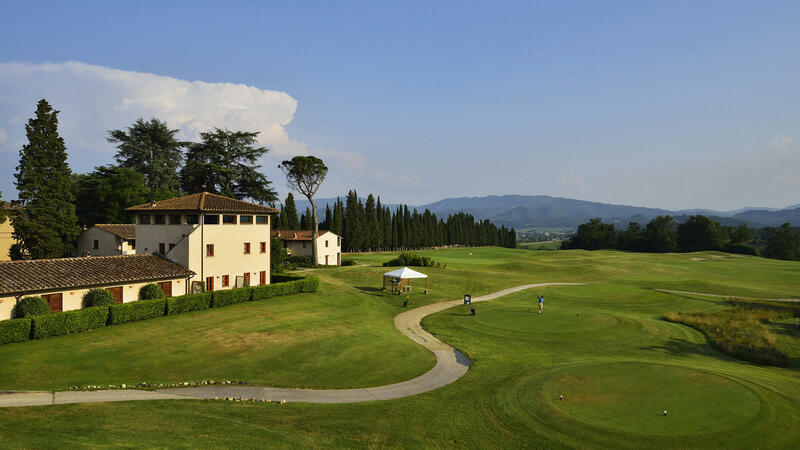 Each of the UNAHOTELS Poggio dei Medici Toscana's elegant Executive Rooms (40 m2) enjoys a spacious, beautifully finished interior and views of the golf course from the balcony or direct garden access. 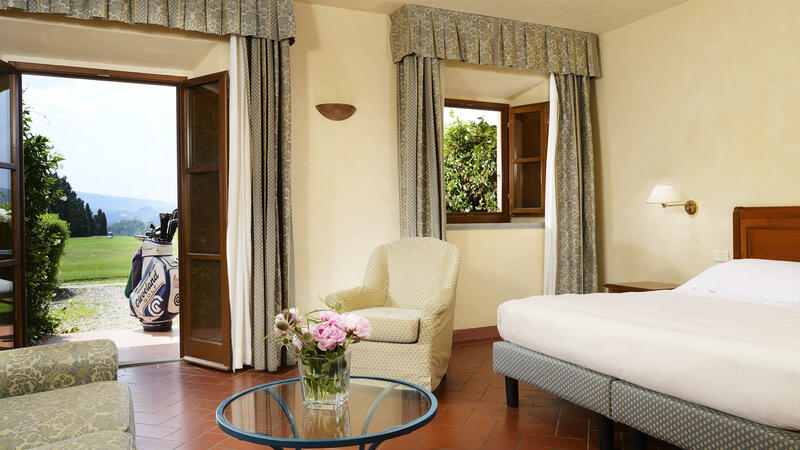 Furnished in an authentic Tuscan style with double or twin beds, each Executive Room boasts a minibar, satellite TV, WiFi and air conditioning. 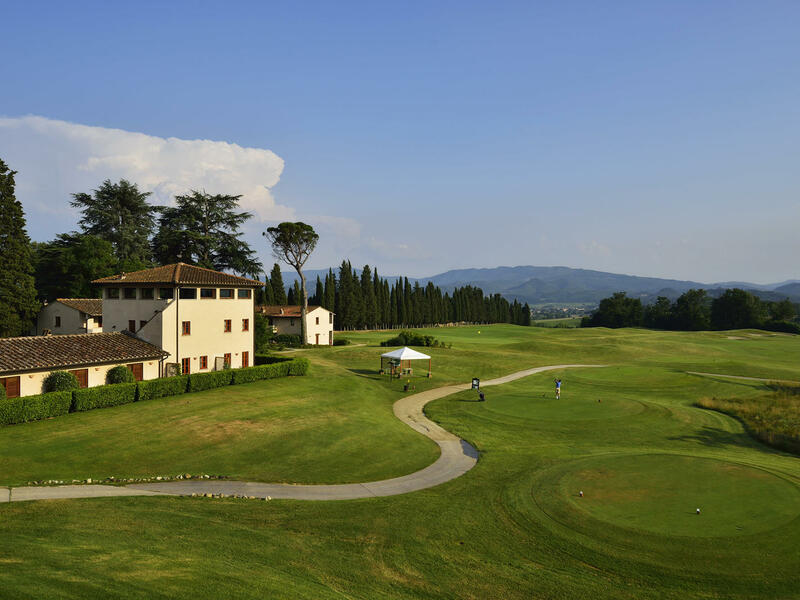 The UNAHOTELS Poggio dei Medici Toscana's select and spacious Junior Suites (46 m2) enjoy a generous, beautifully finished interior with a sofa area and views of the first tee from the balcony or direct garden access. 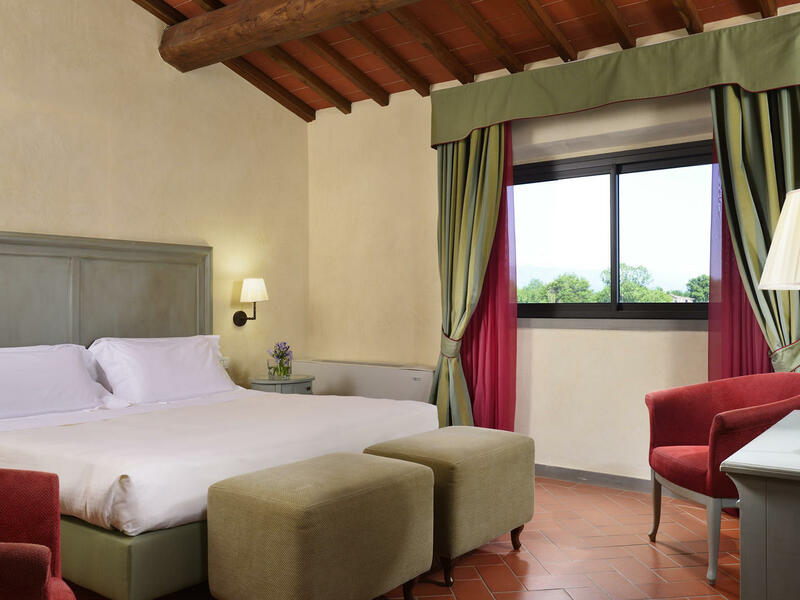 Furnished in an authentic and refined Tuscan style, each Junior Suite boasts a minibar, satellite TV, WiFi and air conditioning. 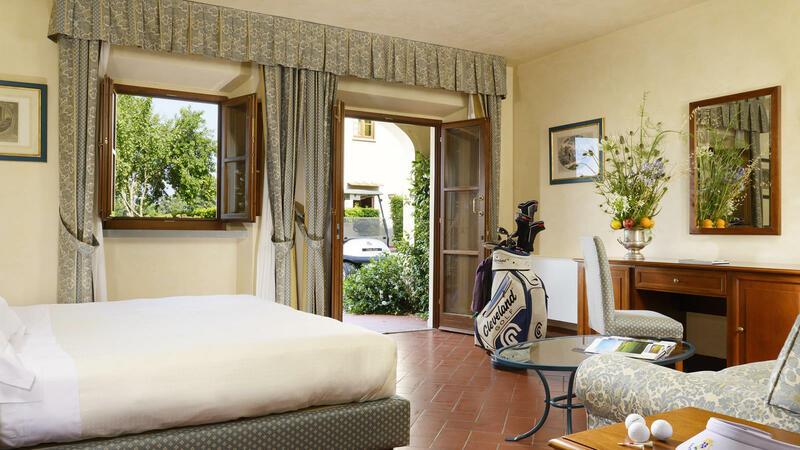 The beautiful Suites at the UNAHOTELS Poggio dei Medici Toscana offer the ultimate in Tuscan luxury and style, with a spacious, beautifully finished interior featuring a separate living area and views of the golf course from the balcony or direct garden access. 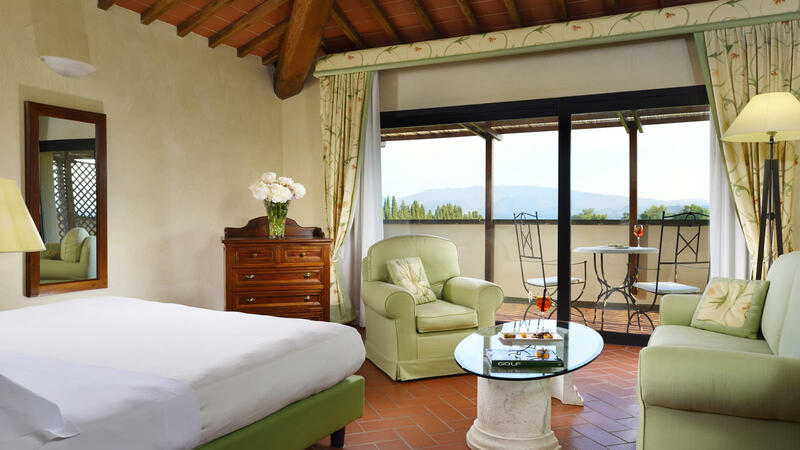 Furnished in an authentic and refined Tuscan style, each Suite boasts a minibar, satellite TV, WiFi and air conditioning. 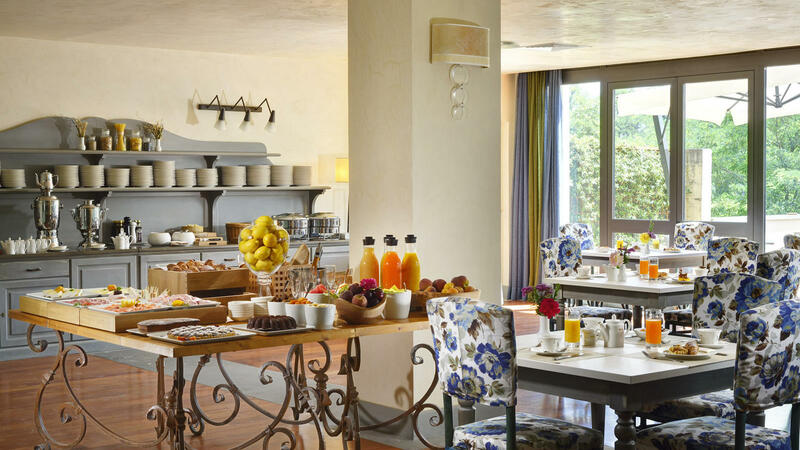 The sleek en suite bathrooms are equipped with a bathtub and shower, hairdryer and complimentary aloe vera toiletries. 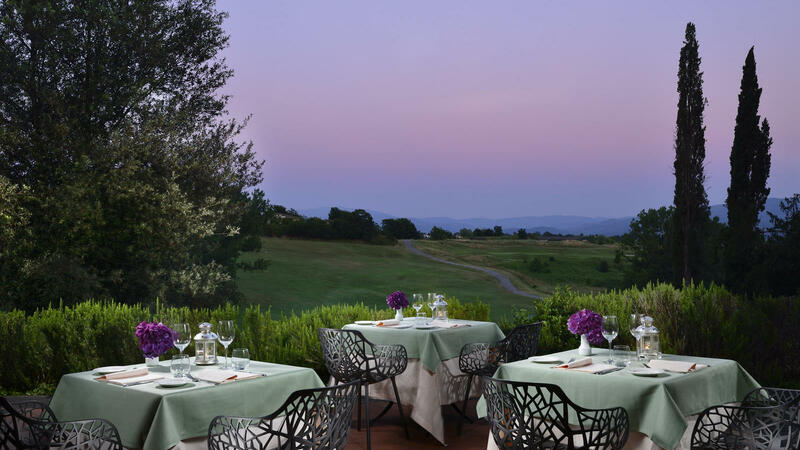 Guests of the UNAHOTELS Poggio dei Medici Toscana also enjoy a select pillow menu and, to begin each day, a complimentary breakfast of fresh, local produce. 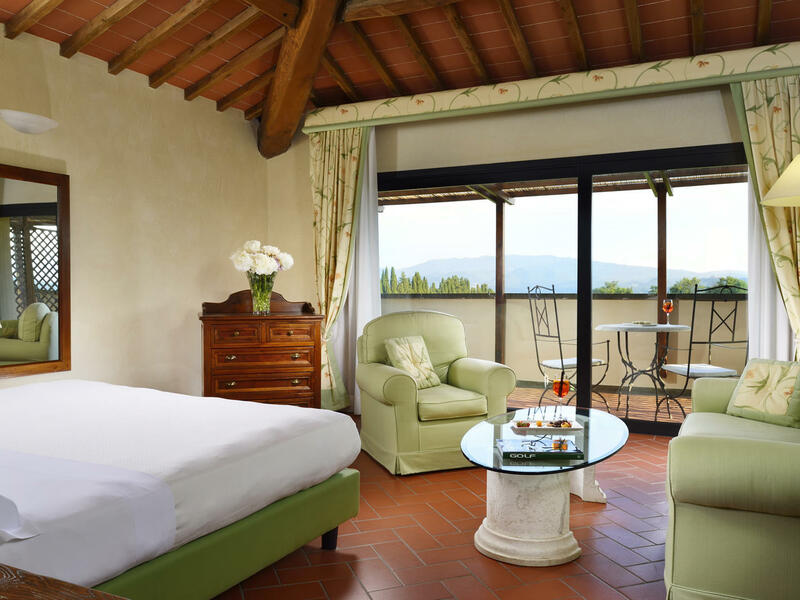 The UNAHOTELS Poggio dei Medici Toscana's spacious Family Rooms enjoy a generous, beautifully finished interior and garden views from the balcony. 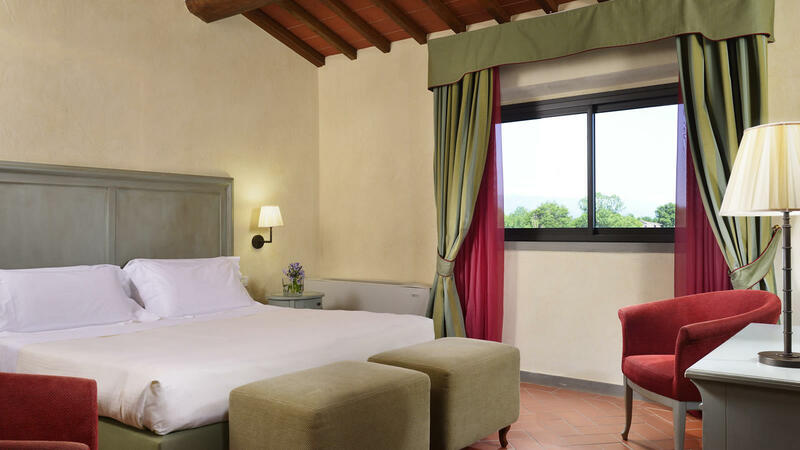 Furnished in an authentic Tuscan style with a double bed and an additional sofa bed, each Family Room boasts a minibar, satellite TV, WiFi and air conditioning. 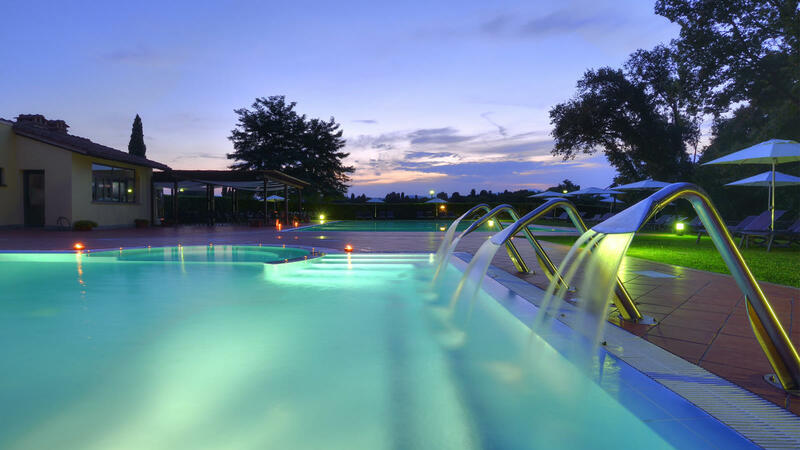 Fantastic Hotel & Fantastic Staff for a 3 Night Mini-Break. 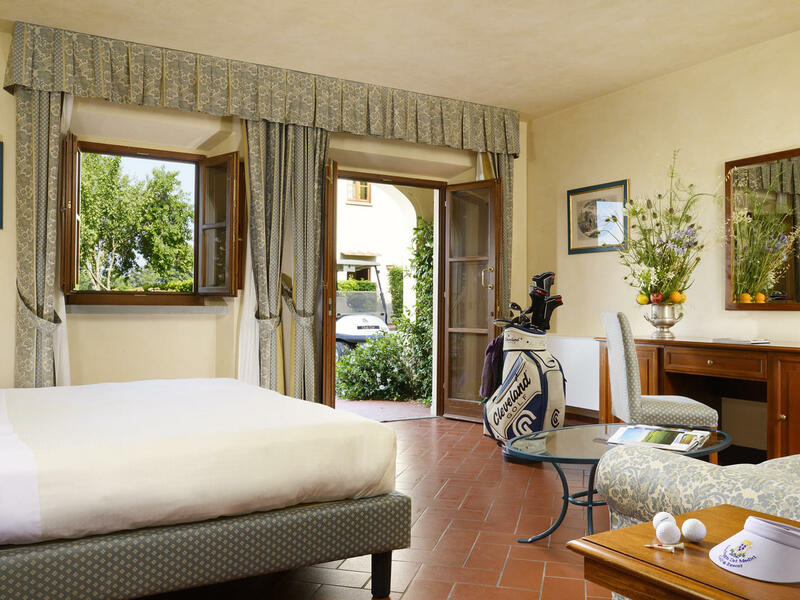 The rooms were huge and comfortable with a generous balcony over looking the Golf Course. 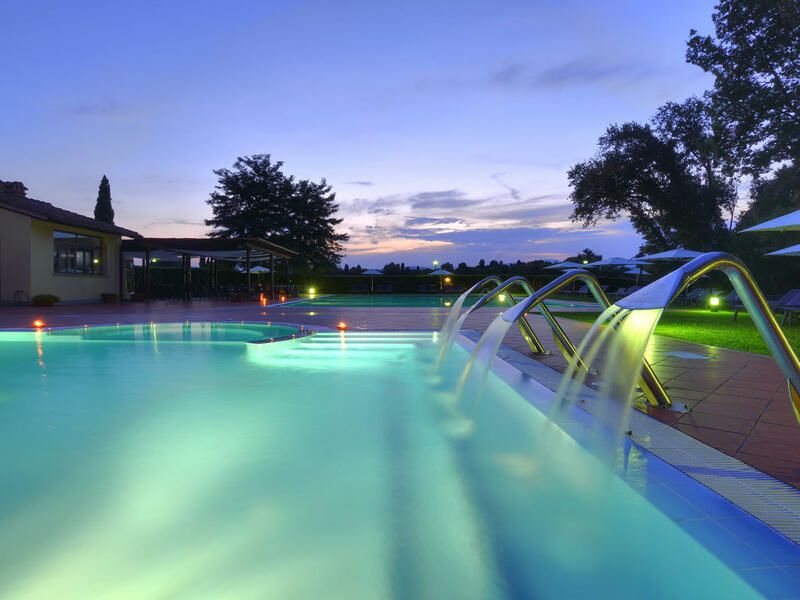 The location is lovely, about half an hour north of Florence. 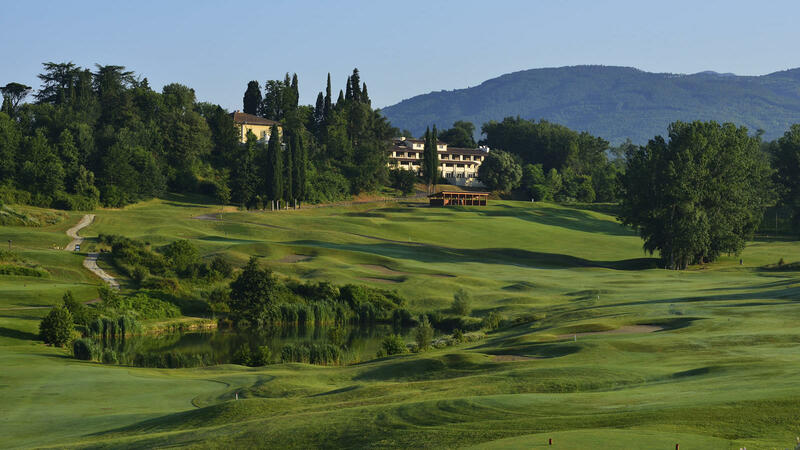 Our rooms were spacious and well equipped, we had a pleasant view over the first fairway and beyond. 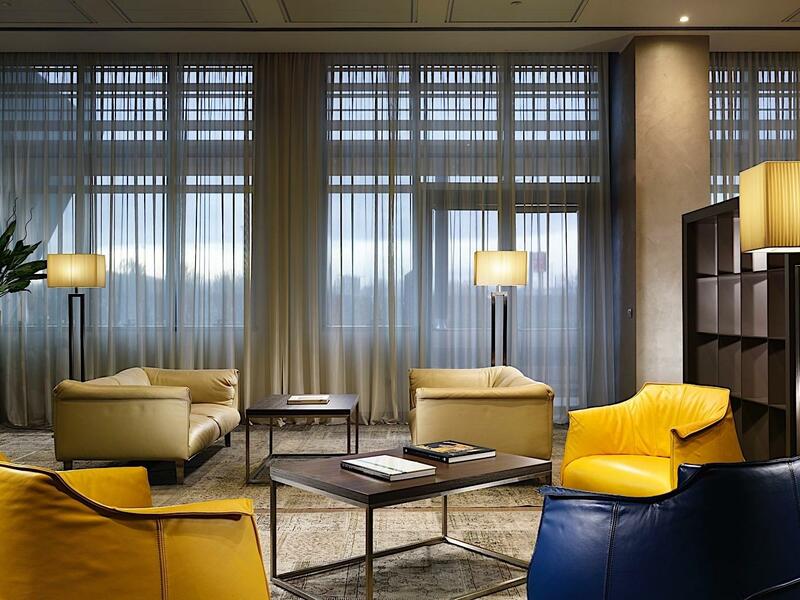  Nice, comfortable, and spacious place that offers a really good service. 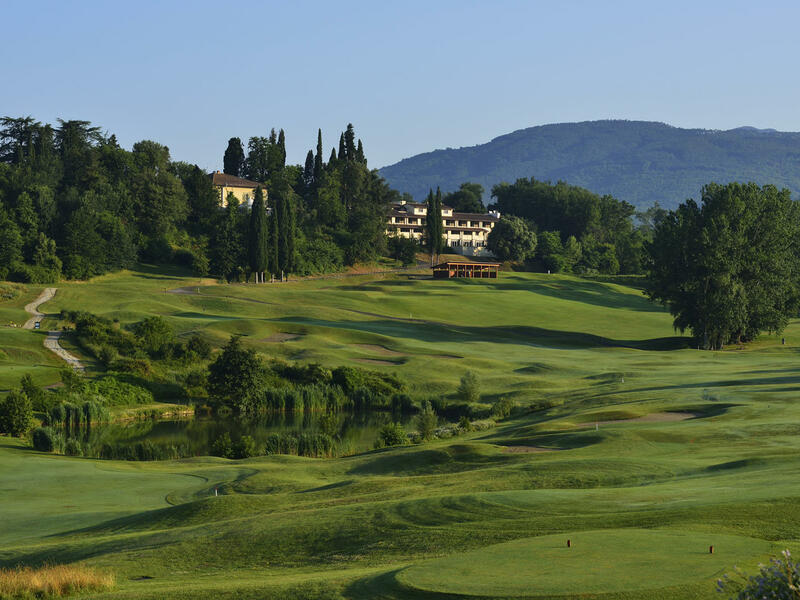 Located in between Florence and Bologne it is surrounded by some hills and a lot of green fields.